﻿ What new is The Body Shop bringing with its first Asia Fit Store in India? 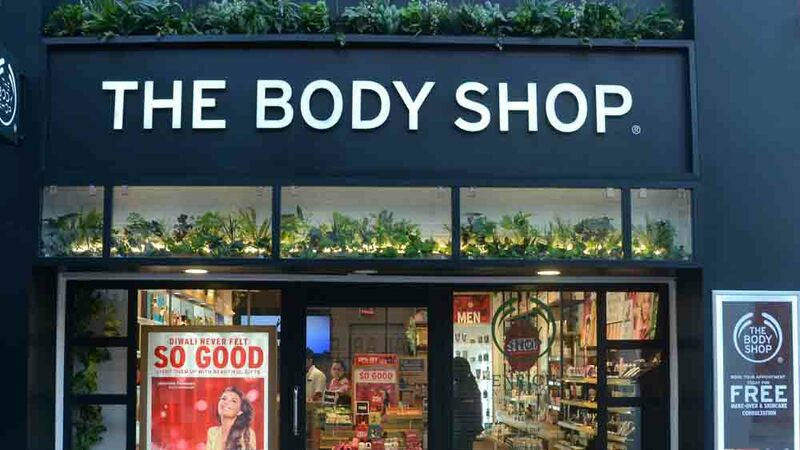 It’s green, it’s natural, and it’s more personalised, that’s what global beauty brand The Body Shop is bringing with its first Asia Fit Store in India and the third in the world after Japan and Singapore. Celebrating its 10th anniversary in India, the brand is aiming to highlight how its products are going more natural and more vegan. Indeed, the brand understands the need of the hour – that’s getting more organic products. We visited the first Asia Fit Store in Gurugram and here’s what’s new about it. The new design has wood furniture made from timber in natural oak finish. It has a warmer colour palette with a ‘hanging-garden’ like ceiling. The doorway too has the hanging trees. The Body Shop has gone green with the new look aiming to create a more relaxing, rejuvenating and inviting ambience for inviting customers. It has a warm, intimate and homely feel to it. It also has an experiential zone that aims at offering a heightened personalized customer experience. The new store has two primary aims that the brand feels are important for them – giving the customer a natural surrounding and customer experience. “There are three keywords to the Asia Fit Store. Sensorial, because it’s all about heightening your senses, Body Shop is all about pampering whether it is smooth skin or hydrated skin, we want all your senses to be heightened, specially the sense of smell and touch. The store is focused on enhancing the customer experience. The second keyword is customising the experience,” says Aradhika Mehta, Country Head – Training and Customer Care, The Body Shop. The concept of the Asia Fit Store also takes forward Body Shop’s motto of ‘Enrich, not Exploit’. “Our third keyword is natural. Body Shop is all about natural, organic, 100 per cent vegetarian products and we’re now also going vegan with some of our products,” says Aradhika. The Body Shop, also taking its ethics one step forward proactively, is following the path of – Look Good, Feel Good and Do Good. “The Body Shop is working in such a way that one ingredient is sourced from somewhere in such a way that at least one person is benefitted in some part of the world when a customer buys a product,” Aradhika adds. The brand also aims at informing customers that its products are not animal-tested and thus, has it written loud and clear inside the store. With Diwali round the corner, the new store also welcomes customers to some beautifully packaged hampers. The hampers are displayed right at the entrance and are available in all sizes – small, medium and huge ones. The prices are also displayed upfront. “Customers do not always want to ask around for the price. The prices are upfront. We are not apologetic about our prices, whether they are low or high, this is how it is,” Aradhika states. Another aspect of the store is visual cues. The customer gets to see a lot of what The Body Shop does from all parts of the world. There’s a lot of digital content displayed at the new store. The new design is Asia centric as Aradhika states that the Asian women are supposed to be very high in their beauty game. “We believe in using natural ingredients. The West might always be looking out, but we as Asian women are very conscious about beauty in a natural way. The success of Ayurveda also speaks volumes about this fact. The thing with Ayurveda is that you never know whether the product is being tested, and if it is who it is being tested on,” says Aradhika. As for the first Asia fit Store’s location, it has been located at Gurugram’s Galleria Market. Why the location? The brand gets maximum customers at the Galleria store and the customers visiting this store also like to spend time experiencing the products, and hence, the decision to get India’s first Asia Fit Store there. The Body Shop is looking at getting more of these stores in the near future. Along with this, the brand has another concept store for bigger formats, called Pulse Sensation. “We’re looking not just at renovating existing stores, but also acquiring new store properties and then making the newer designs,” says Aradhika. Our business needs patience: Dr Lal PathLabs CEO..